This node has been removed from the water. 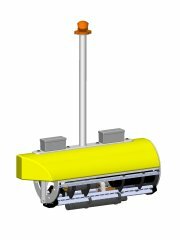 Designed for rivers and estuaries with constant or periodic currents, the RiverLOBO utilizes a specially designed float to minimize drag. 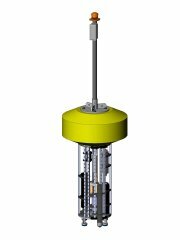 The robust system is designed to be completely submerged and has been tested in heavy icing conditions down to -20C without missing any data transmissions. Designed for protected bays and small lakes, the BayLOBO uses a heavy duty disc shaped float well suited for riding waves. A larger payload bay allows for more battery capacity for longer deployments. 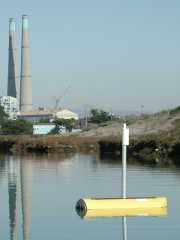 Without the buoy hull, DockLOBO is a convenient module to monitor water quality from fixed platforms of opportunity such as a dock or piling. 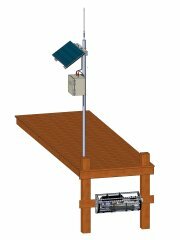 By placing the hardware on a solid structure, this system can utilize solar power for more aggressive data acquisition schedules and lower operational costs. From the dock site the data can be sent back to the user via wireless or cabled options. 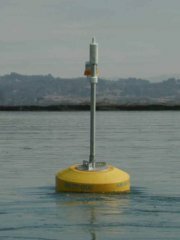 BenthicLOBO also has no buoy hull and is designed in a frame suitable for deployment on the bottom near a dock. 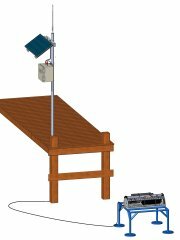 Instrument data is transmitted back to shore using an armored cable. 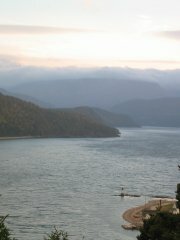 Power is provided by a shore based power system using solar panels and batteries. 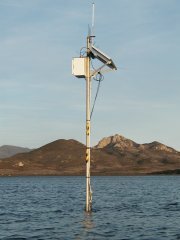 From the shore the data can be sent back to the user via wireless or cabled options.